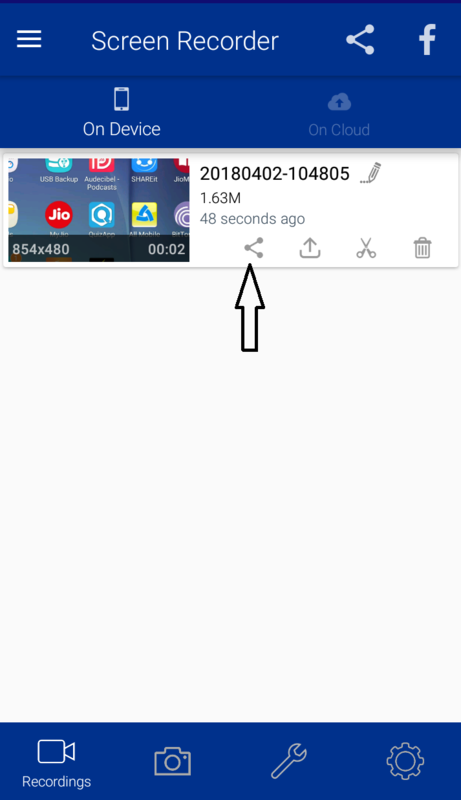 Screen Recorder app allows the user's to share their video which they recorded from the app. 2. View your recorded video. 3. 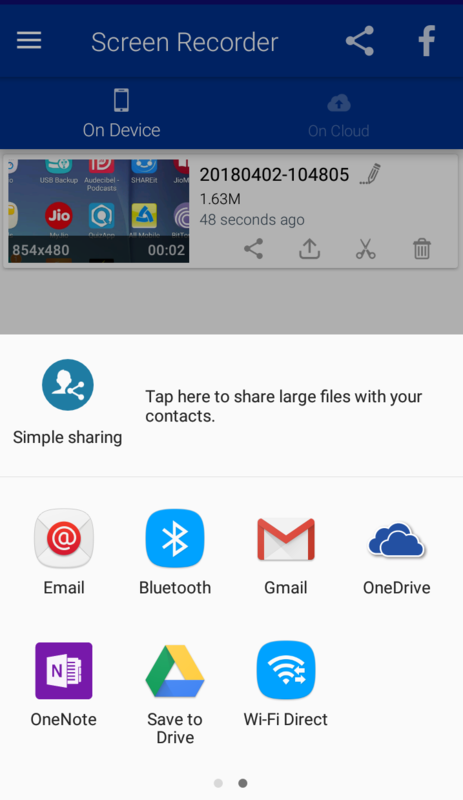 You can find share option. 4. Click to share button and share your video with friends and family.